Indian publisher BigCode Games has partnered with mobile games rewards start-up RewardMob to integrate the latter’s esports platform into its titles. 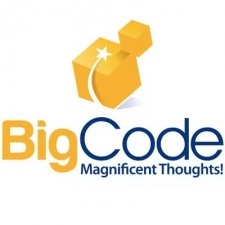 BigCode has launched more than 2,000 mobile games across mobile and the web, generating in excess of 100 million installs. Its portfolio includes match-three, first-person shooter and simulation titles. Through RewardMob’s platform, the company aims to kick off new tournaments in February that will offer players the chance to compete for real money, prizes and cryptocurrency. The first tournament ticket sale will start on March 13th 2018. “We are excited to be working with RewardMob and the opportunity to make our games even more exciting for our fans,” said BigCode Games founder Ahmed Mohammed. RewardMob was only just recently in the news for its partnership with Waves to launch a blockchain-based mobile gaming platform as the company appears to be double down on the trendy tech.